Despite everything, Nanami Momozono used to be a happy girl, with a positive attitude and a big smile to share. Unfortunately, her father is a gambler and due to his debts has flown away. Now, the apartment where they lived is being evicted. And Nanami has been kicked out with no place to go. 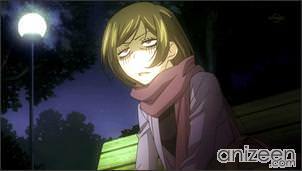 That night, in a near park Nanami is still trying to understand what happened. Suddenly, a loud voice asks for help. It’s a mysterious man who is on the top of a tree trying to escape the fury of a little dog. 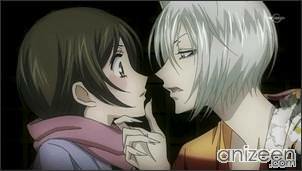 Without any particular effort, Nanami gets rid of the danger and the man, Mikage, is saved. 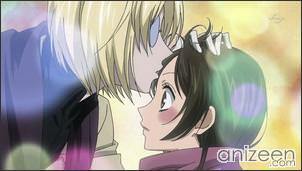 Mikage tells Nanami that it’s been years since he was in town, and that he fear to come back home. In return, Nanami tells him that he is very lucky to have a place to call home. 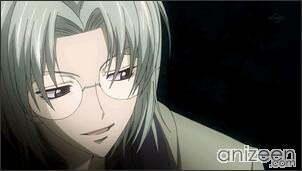 Without hesitation, Mikage tells Nanami that she can have his home, quickly; he kisses her forehead and gives her instructions to reach her new home. Somehow, and with nothing to lose, she begins to walk just to find out that the place is a shrine. Nanami thinks everything was a prank and gets really irritated. 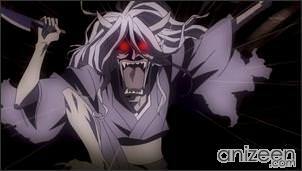 But then a scary voice refers to her as Mikage and welcomes her to the shrine. Then a lot of things happen and for some reason, Nanami stands upon a fox yokai named Tomoe and a couple of shrine helpers named Onikiri and Kotetsu. With the instructions given to her by Mikage, she has now become the new land god of the shrine. 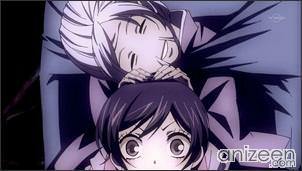 Of course, this is a total nonsense to Nanami and especially for Tomoe, who has waited twenty years for the return of his master. 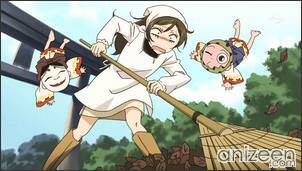 Tomoe denies serving under Nanami and runs away. 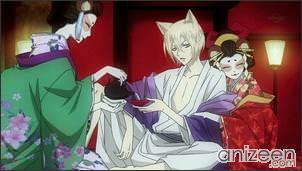 And Nanami stands out loud and tells him that she has no intention of being part of the shrine. The next morning, Nanami begins to understand the importance of the shrine in the community and how hard Tomoe has worked for the part time. Nanami thinks she is not suited to be the master of the shrine, still, thinks she has misunderstood Tomoe and wants to make up with him. Onikiri and Kotetsu take Nanami to the Other World, where Tomoe is relaxing and seems to have no intention to return to the old shrine. 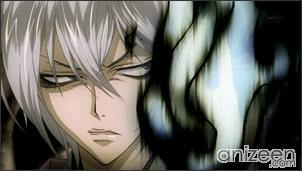 Nanami listened Tomoe and with full disappointment leaves the place. But now that Nanami has some powers, she seems to be a tasty prey in the Other World, and several demons begin to chase her. Then, Onikiri and Kotetsu tell Nanami that she has to sign a new contract with Tomoe, with it done, he will have to follow each and every one of Nanami’s commands. 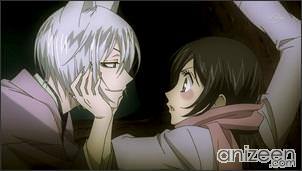 In the end, after risking her own life, Nanami is able to sign the desired contract with Tomoe, and he has to return smoothly to the shrine. Nanami Momozono is a teenage girl whose father ran out on her because of his gambling debts, she was often mocked for her poverty by her classmates. But eventually, she becomes the local land god after former god Mikage transfers his position as master of the shrine over to Nanami. She begins with very little spiritual power, but works hard at balancing her godly duties with her schoolwork and eventually becomes adept at purification. 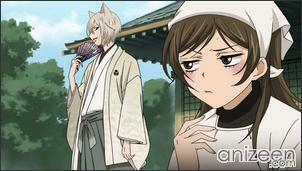 Nanami is often upset when Tomoe flirts with other women. 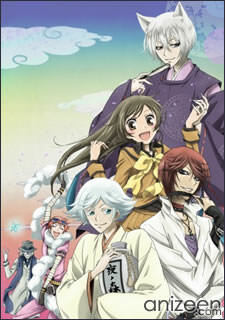 Kamisama Hajimemashita (神様はじめました) is a Japanese manga series by Julietta Suzuki and serialized by Hakusensha in the shoujo manga magazine Hana to Yume. 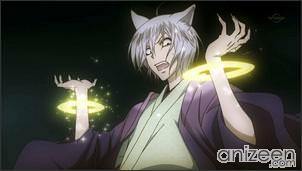 An anime adaptation produced by TMS Entertainment and directed by Akitaro Daichi began airing in October 2, 2012.